Wrap tops are cute and you'll look cute wearing this one with its tie on the waist and flutter short sleeves. You won't regret adding this one to your top selection every day. Wrap tops are cute and you'll look cute wearing this one with its tie on the waist and flutter short sleeves. You won't regret adding this one to your top selection every day. 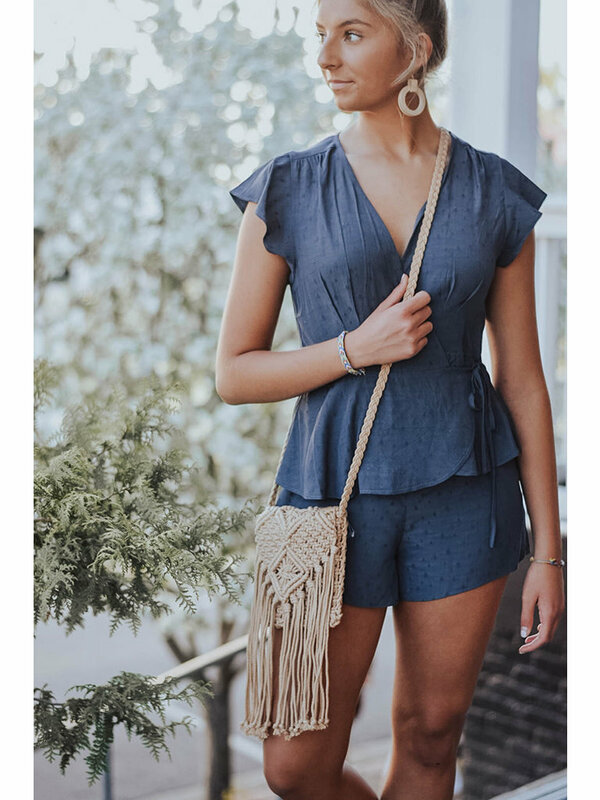 We recommend pairing these Motley High Waisted Shorts with this top to complete this outfit!